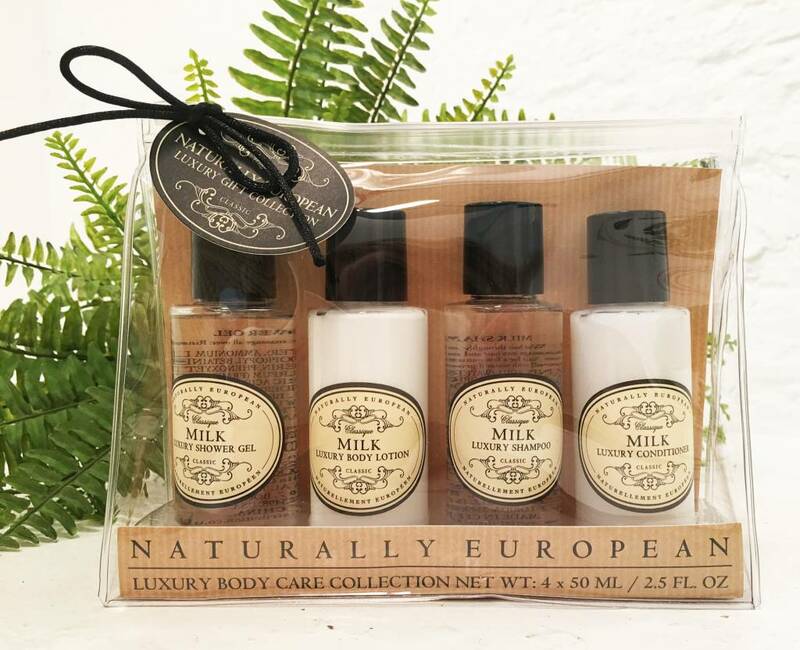 Naturally European Travel Collection contains four mini bottles of luxury toiletries. 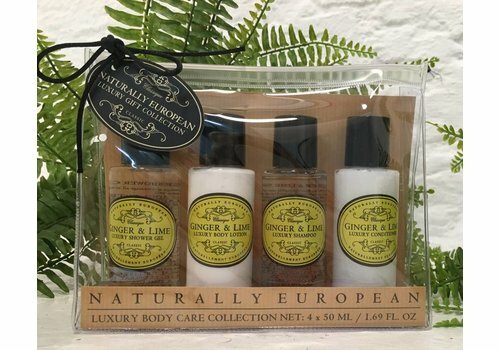 A travel size bath & shower gel, body lotion, shampoo and conditioner to keep you looking and feeling fabulous on your vacation. 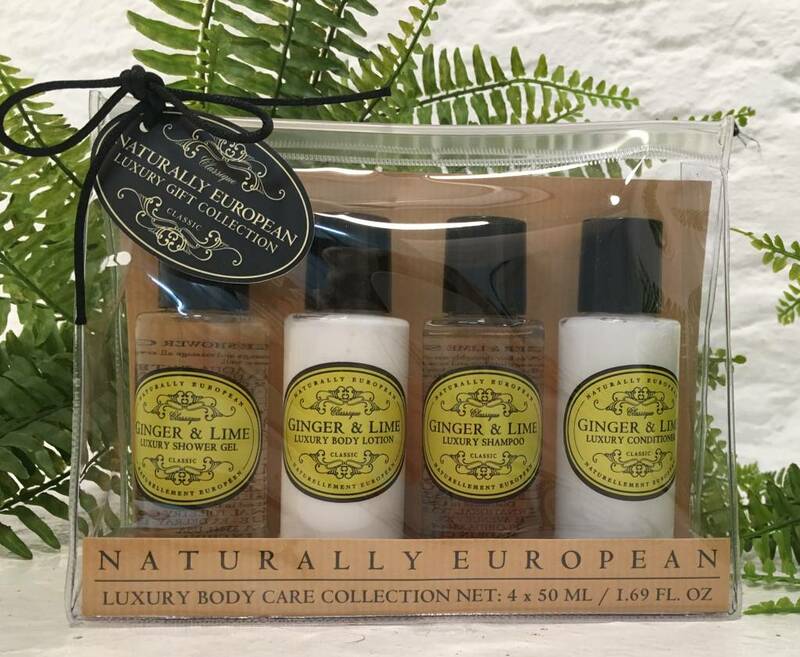 This set is available in: Verbena, Ginger & Lime, Rose Petal and Milk. 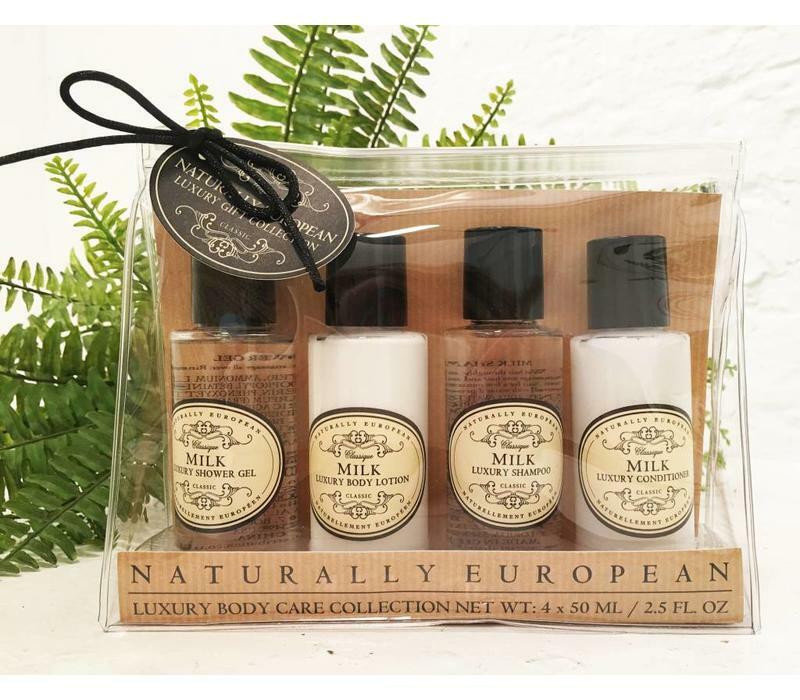 4 x 50 ml / 2.5 fl oz. 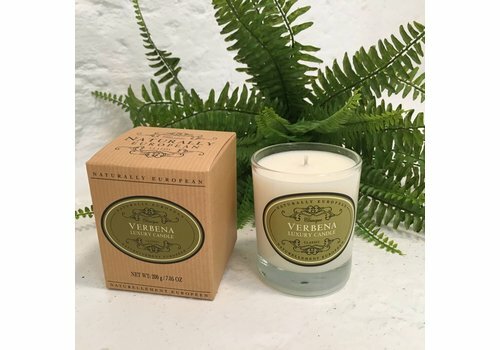 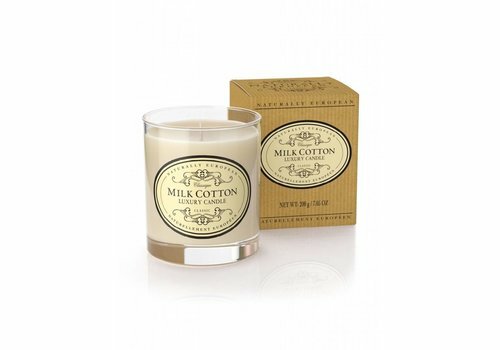 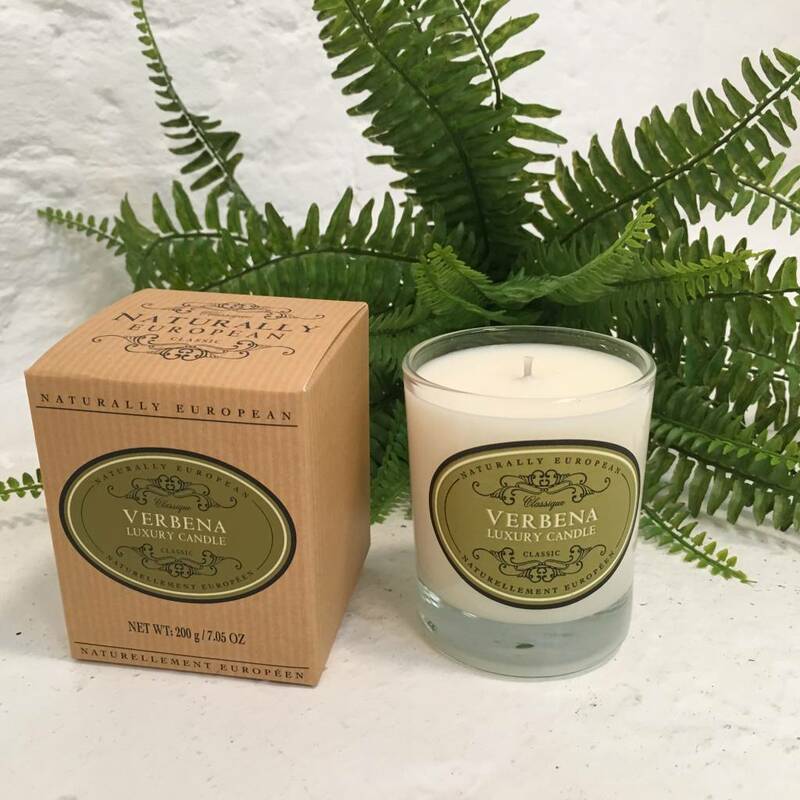 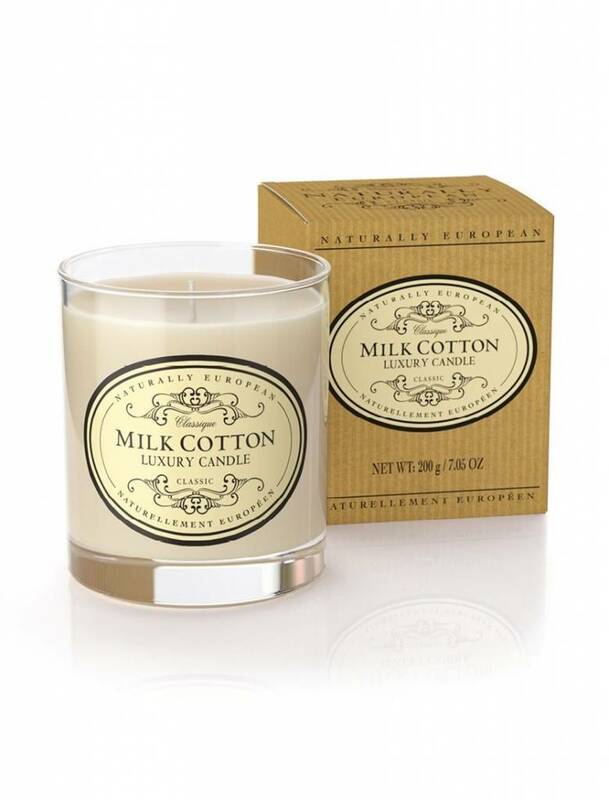 This luxurious smelling candle is made with organic plant wax, is clean burning, sustainable and kind to your environment.